Whistler Grand, another prestigious CDL residential home. The site comes with a 99 years lease and measures 210,883 sq ft. According to Urban Redevelopment Authority, the West Coast Vale site is one that could house about two 36 storey towers, and it stipulated a max of 730 residential units for the plot with a good Whistler Grand Floor Plan. Why Whistler Grand Condo ? Indulge in over 60 comprehensive facilities ranging from a Cantilevered Gym to River Hammocks, Club Gourmet, Glamping Gardens and many others. With a Climbing Wall, Aqua Flying Fox and an Aqua Course specially designed for kids, your young ones scale new heights of fun at Adventure Club. [/vc_column_text][vc_single_image image="11678" img_size="full" alignment="center"][vc_column_text]City Developments Limited (CDL) is a leading global real estate operating company with a network spanning 100 locations in 28 countries and regions. Listed on the Singapore Exchange, the Group is one of the largest companies by market capitalisation. Its income-stable and geographically-diverse portfolio comprises residences, offices, hotels, serviced apartments, integrated developments and shopping malls. garden, an exclusive on-site gym, a coffee lounge and shared social space for residents. modern tenant and is one of the largest developers in Manchester. shops and creative media startups, it was recently regarded as one of The New York Times’ top 20 coolest places to live in the UK. The sociability and desirability of the area also resulted in The Times newspaper calling Ancoats coolest place live in the UK in 2017. Ancoats is located next to the Northern Quarter area of the city centre. It is a highly accessible and connected place to live. Manchester Piccadilly train station and Manchester train station are both within 10 minutes’ walk of Ancoats, providing links to London and the rest of the UK. For this reason rental yields, occupancy rates and capital growth at Ancoats Gardens are projected to be particularly strong. Based on the developer’s plan, the condo has nine residential towers of eight stories whose unit mix include one to five bedrooms and penthouses. Aside from having impeccable detailing, residents will have many facilities at their disposal. Why Invest/Buy The Jovell ? The Jovell Condo sits at Flora Drive and five minutes towards Changi Airport. Families will enjoy its proximity to major transport routes and vibrant trading centers. Shopping malls around Jovell Condo include Changi Jewel Mall, Tampines Mart Complex, Singapore Expo Centre, Tampines One Mall, Layong Point Mall, and Tampines Mall. The best shopping inlets happen to be the East Point Mall, White Sands Mall, and Century Square. You will also come across numerous supermarkets such as Ang Mo Supermarket, K Mini Supermarket, Decathlon Supermarket, and SuperMark among others. Nature lovers will also have many beautiful sceneries designed and maintained by the district’s finest landscapers. These attractions include Bedok Reservoir Park, Pasir Ris Town Park, Changi Boardwalk, and Tampines Eco Green. As you explore the area, make a stop at Singapore’s most elegant country clubs such as Tanah Merah Country Club Tampines Course, National Service Resort &Country Club, and Aranda Country Club. Education-wise, the region is home to established, elite schools for international and local students. Institutes within walking distance include East Spring Primary and Secondary Schools, Pasir Ris Primary, and White Sands Primary School. Further down, you will come across Gongshang Primary, Tampines North Primary, and Angsana Primary School. The Singapore University of Technology and Design makes higher learning possible for all residents. Other options include Temasek Polytechnic and Victoria Junior College. Connectivity within the region is smooth and reliable, that is, congestion on roads is minimal as numerous transport routes link people to different destinations. One can opt to take a bus ride or walk towards the nearest train station. If you are looking for a place to settle and invest, Jovell is an ideal option. 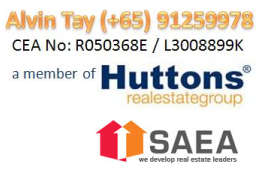 [/vc_column_text][vc_single_image image="11644" img_size="full" alignment="center"][vc_column_text]Hong Leong Group has an army of brilliant minds and talented individuals whose skills have led to the development of approximately 100 residential properties and counting. Since its establishment in 1968, the company has become one of Singapore’s leading organizations in property development and real estate investment. They provide comfortable and luxurious homes to residents through consumer-oriented strategies. They currently manage eight commercial projects as they induce sustainability and innovation in their structures. Among their subsidiaries, the top management has entrusted Jovell project to Tripartite Developers. They are fully-owned by the Hong Leong group as well as City Developments Limited Company (CDL). With both organizations’ impeccable track record, Jovell shall have outstanding features constructed with class and sophistication.